It's time for BlizzCon 2010, Blizzard's annual fan gathering and celebration of all things Diablo, StarCraft, and Warcraft. What does Blizzard have in store for fans this year? The show kicks off tomorrow with our live blog of the opening ceremonies at noon Pacific. From there we'll take you on a Blizzard-soaked trip all weekend long, breaking out the major World of Warcraft, Diablo III, and StarCraft II news, interviewing the creators behind the games, and roaming the crowded halls of the Anaheim Convention Center in search of the best in Blizzard cosplay. Comedian Jay Mohr returns once again to host Friday night's costume and dance contest, and on Saturday night, Jack Black and Kyle Gass, otherwise known as Tenacious D, will bring the walls of the convention center crumbling down around them with an explosion of purest metal. And of course, keep an eye out later tonight for our first look inside the BlizzCon 2010 swag bag. Will there be more hand sanitizer this year? I certainly hope so. 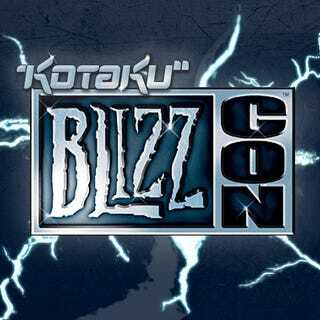 For a look at all the news leading up to and coming out of BlizzCon 2010, keep your eyes on our BlizzCon 2010 tag page. It should be getting much longer very shortly.